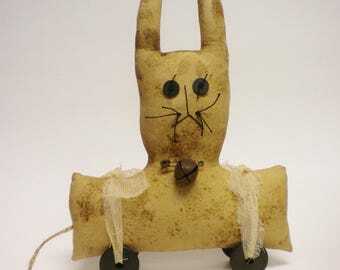 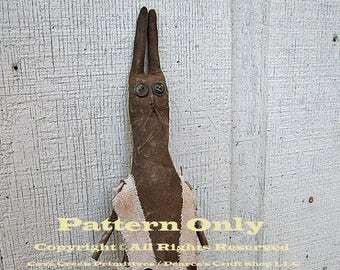 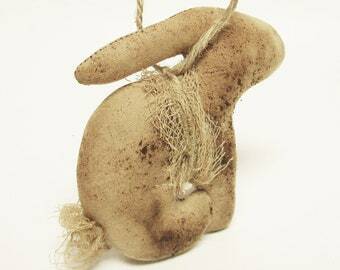 Here is a long ear Primitive Bunny with Burlap Carrot to sit on a shelf, cabinet or table in just about any room. 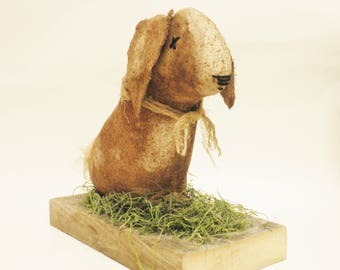 This adorable Bunny is crafted from cinnamon dusted stained and painted muslin fabric. 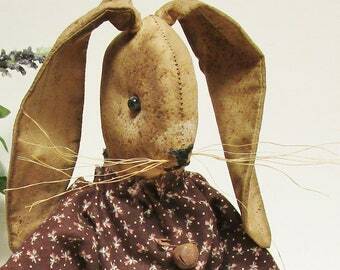 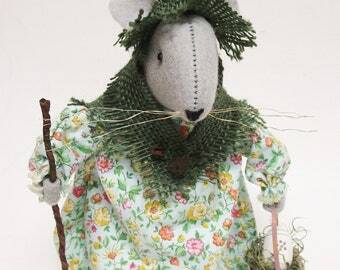 Handmade Rabbit features thread tied black button eyes, stitched nose, whiskers and extra long ears. 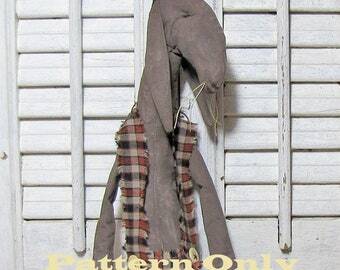 Around its neck is a twine tie and rusty bell. 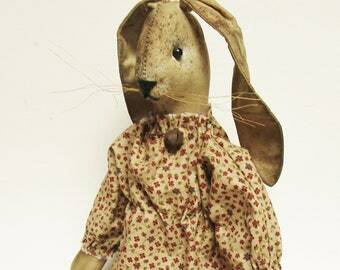 Bunny also has a painted and stained cotton cheesecloth tail. 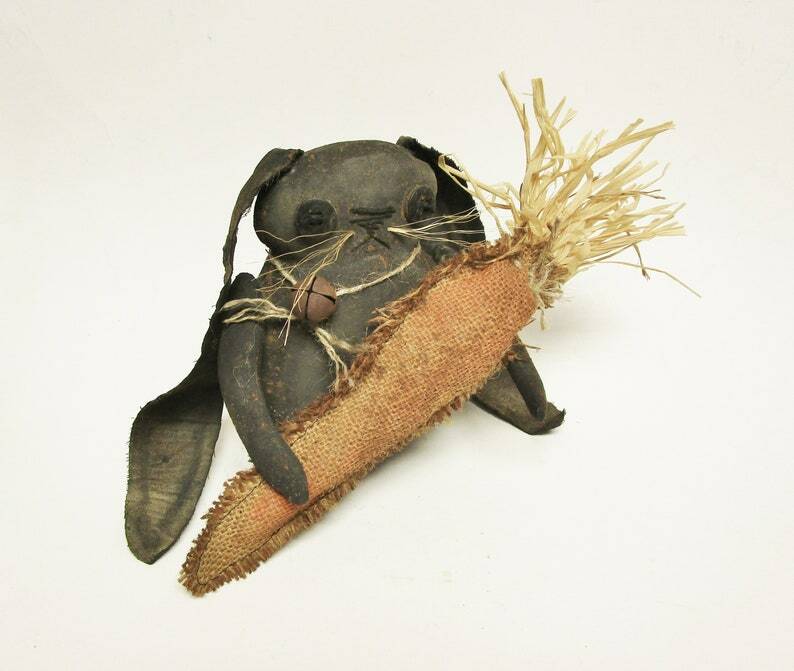 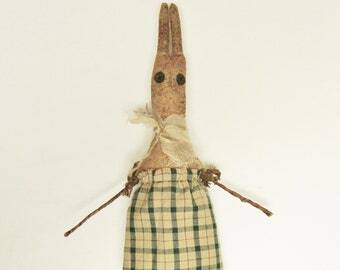 Primitive Rabbit holds a big painted and stained Burlap Carrot accented with raffia in its arms. 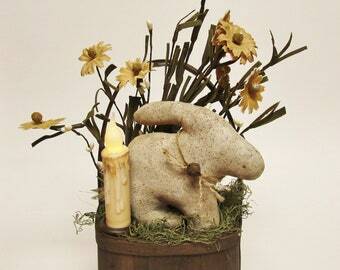 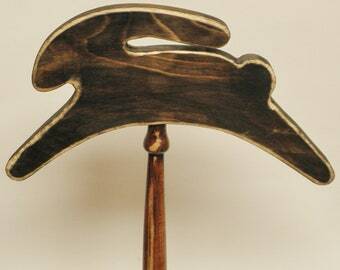 This stump style Bunny sits on a black painted wood base. Measures approximately 6 1/2 H x 12" W (5" wide across body) x 5 1/2" D. Intended for Decorative Use. 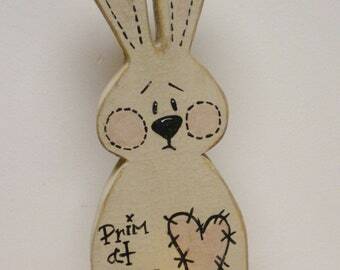 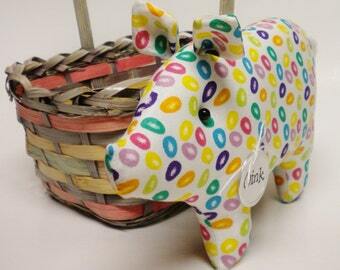 Sweet little Bunny for Spring, Easter or Everyday Decorating!